Teaching children to read can be extremely difficult. Children need a solid foundation of pre-reading skills. They need to be able to enunciate the sounds that letters make. Children need to memorize sight words. Children must learn to sound out words. They have to learn complex interactions between vowel placement and sounds. They have to learn how to blend word sounds. On top of all of those skills, they need to comprehend what they are reading. Mix in a little frustration and a short attention span, and you have a recipe for disaster! No wonder more than 47% of U.S. children are below grade level in reading. As a homeschool mom, teaching my children to read has been a daunting task. Trying to teach each of these skills, while keeping my children focused and interested, can seem impossible some days. In an effort to making learning to read fun, I’ve incorporated games like: sight word bingo and matching games. 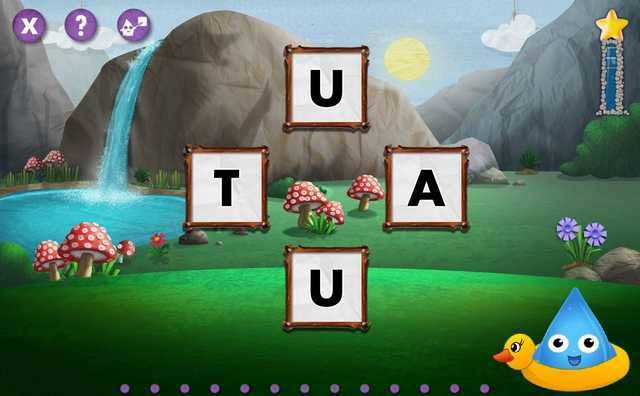 I also threw a mini-party for each vowel sound. For “E” we smashed eggs full of confetti and made egg-shaped cookies. But even with fun games and parties, reinforcing basic reading skills can be tiresome. 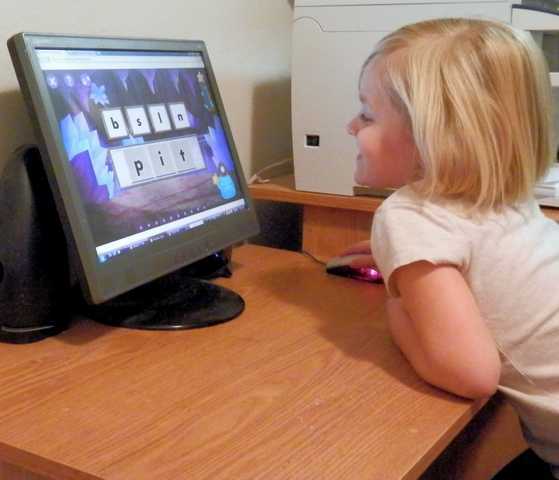 Rosetta Stone, which is world renowned, for its language programs, has partnered with the literary experts at Lexia Learning to create the Rosetta Stone Kids Reading Program. The Rosetta Stone Kids Reading Program is a fantastic tool to help your children develop and practice all of the core literacy skills that are essential for reading well. The Rosetta Stone Kids Reading Program is designed for children ages 3-7. The program is broken down to ten different levels to make sure that reading skills are taught in an engaging and effective way. 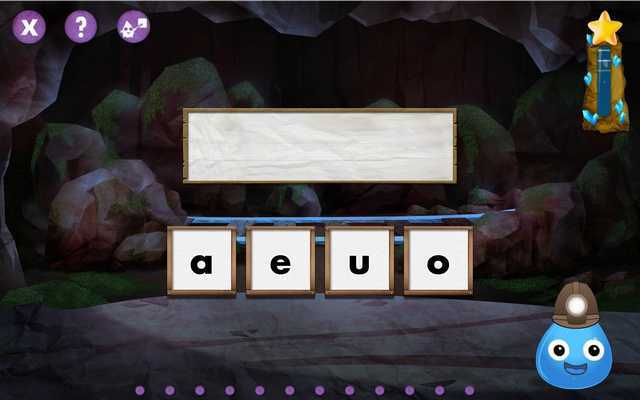 Each level focuses on the mastery of different reading skills with a series of games. Level one starts with pre-reading skills such as matching similar items and sorting. 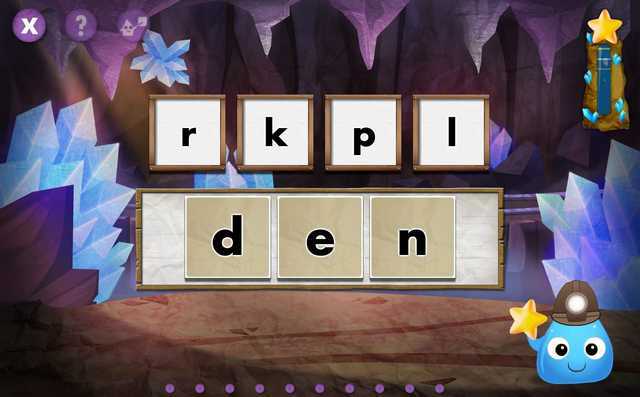 In level six, children practice skills such as: spelling, identifying sight words, and story progression. As the child finishes all the skills in their level, they can move up to the next level and work on more complex skills. I had my five year old daughter play with Rosetta Stone Kids Reading Program twice a week, for twenty minutes. She was able to play independently, and it was a fun way to supplement her reading practice. My son is three. He usually ended up playing for about fifteen minutes at a time. He needed additional help and guidance, so we ended up playing together. Practicing skills over and over again can get very tiring/boring for children. I love that the Rosetta Stone Kids Reading Program is set up like a game. The program has several different characters known as the “Lingos”. A child can set up their own profile and choose one of Lingos as an avatar. 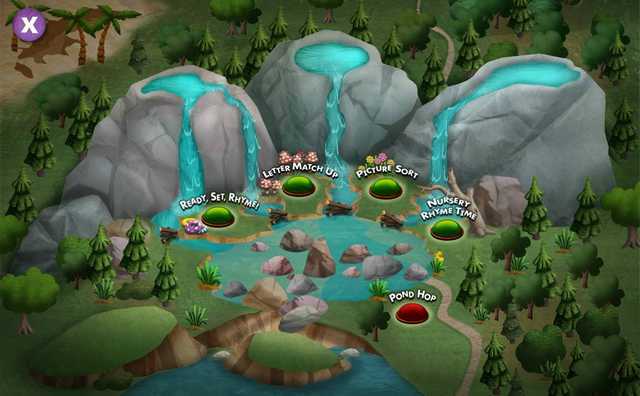 Children can earn 1, 2, or 3 stars, depending on how well they complete each game. Children can play each game over and over to try and earn more stars. I think the use of stars is a great idea! This is a fantastic way to reinforce repetition. Children are practicing the same skills over and over, but in a fun way, so that they don’t get tired or burned out. 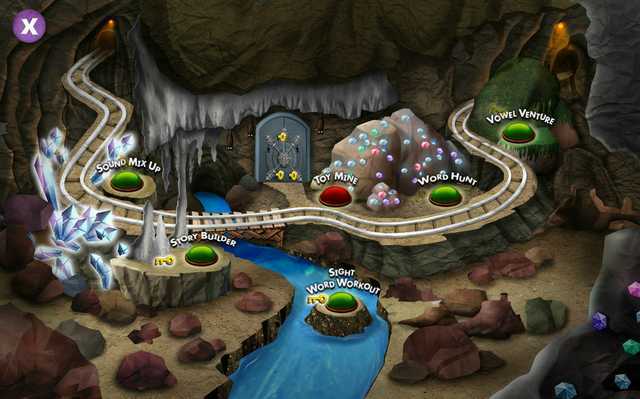 Each level also has an animated story line. Both of my children have enjoyed the stories and animation associated with each level. They want to help their Lingo save the baby turtles, find friends, and get the treasure out of the cave. In each game, there are two buttons that a child can click for help. These buttons won’t give the child the answer, but will rephrase the problem to help them understand it better. This is a great way to reinforce that making mistakes is not bad and they can try again. At the end of each game, their Lingo does a little dance. My children have named this dance the “Bonga”. I love to watch them dance with their Lingo, after successfully finishing a game. In a world that utilizes technology more and more, I’m glad that my children are able to use technology to practice reading skills. When my daughter uses the program on our desktop computer, she is also learning how to use a mouse. Introducing children to technology for learning purposes is very important and can be very fun! The Rosetta Stone Kids Reading Program also has tools for a parent to check their child’s progress. I found this to be very helpful. I can keep track of the skills my child is having more trouble with, so that we can take additional time to practice those skills. I also appreciate the positive reinforcement of the program. Even if my child is having a difficult time, they are praised and given additional help and guidance. Learning to read is very difficult, and each child needs as much positive feedback as possible. Rosetta Stone is offering a free demo of their Kids Reading Program. It’s a great opportunity to try out the games and activities with your children. Simply visit http://www.rosettastone.com/kids and scroll down to the middle of the page to begin learning and playing together. Any time learning is fun is a very good thing. I like how colorful this is, and how interactive. Resding is a hobby and a skill that lasts a lifetime. This is an excellent reading program that my grandsons could greatly benefit from! I love how interactive it is! Interactive + reading=fun while learning. Its a great way to teach kids to read and keep them focused on it at the same time. My brother wants to do the Rosetta Stone program. I didnt know they had something for kids. If I had kids, I would get this for them, very cool! Anything that makes learning to read fun gets a plus from me. Looks like a good program. My grandson has mild dyslexia and is struggling with reading. I am really considering this for him to help at home. I love Rosetta Stone! I didn’t know they had one for reading. This is awesome.